The first thing you’ll see is the iconic arch marking the entrance to the 100+ year old pier. Walk underneath it and explore the shops, cafes and arcades beyond. 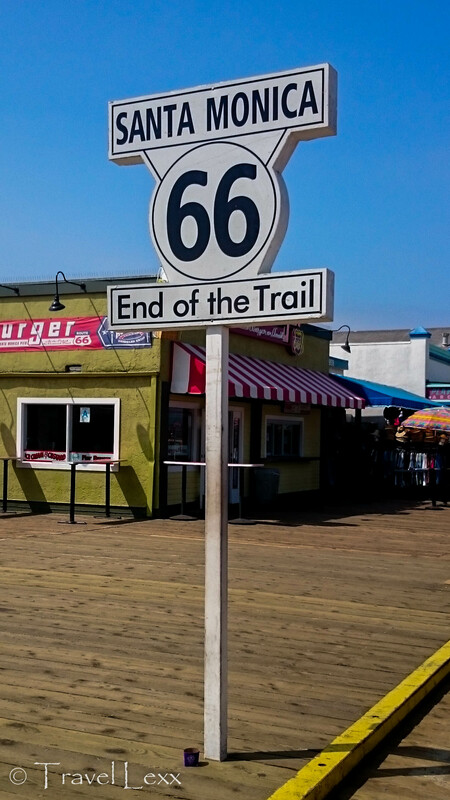 Check out the sign marking the official end to Route 66 and watch anglers cast their lines into the Pacific. Ride the famous Ferris wheel and rollercoasters in Pacific Park or just amble around with an ice cream in hand. If you are lucky you could even catch one of the many concerts and shows taking place on the pier. All that exercising and shopping is hard work, so what best way to relax than do as the Californians do and hit the beach? Find your spot on the sand and soak up some sun or go for a splash in the ocean. Iconic lifesaver huts line the beach and surfers patiently wait for a perfect wave in the warm waters of the Pacific. With the pier forming a stunning backdrop, you can easily while away an entire afternoon here. If you are ambling along the Venice Beach Boardwalk without any of these in your hand, you’re doing it wrong! 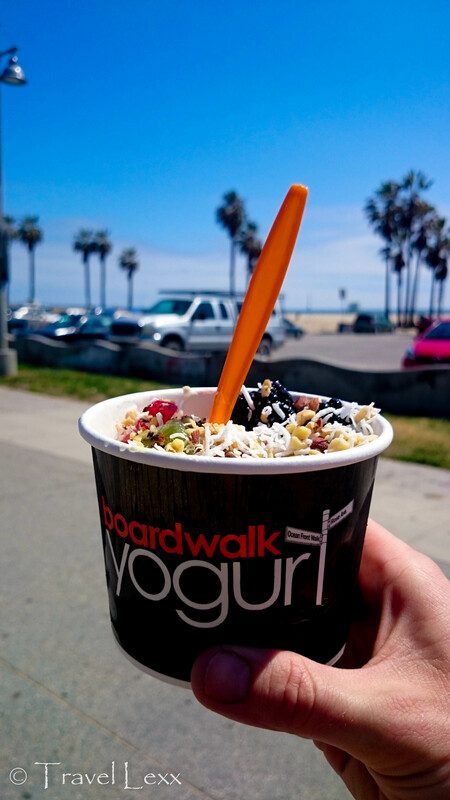 Boardwalk Yoghurt has a great selection of ever-changing flavours and toppings while Muscle Beach Juice Bar – opposite the famous gym – has you covered for delicious protein shakes and healthy fruit smoothies. N’iceCream specialises in organic gelato made from fresh ingredients. If it’s that Instagram-worthy body you are after, this is THE place to get it. 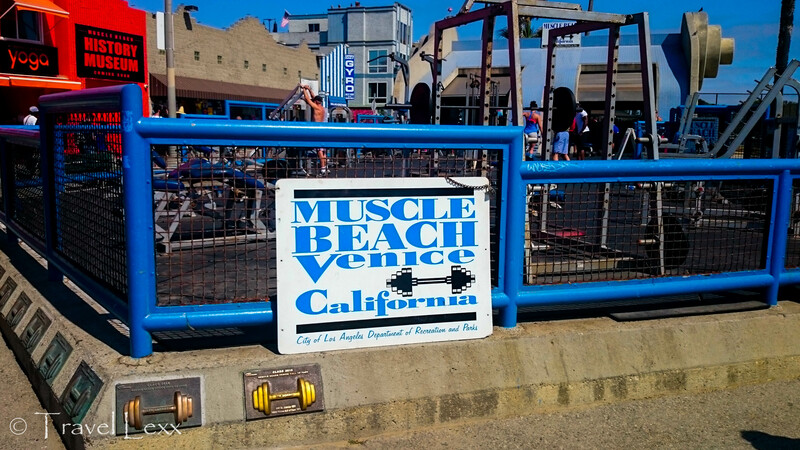 Join the bodybuilders at the world-famous Muscle Beach (day pass $10), where Arnold Schwarzenegger was a regular, or use the various bars and ropes at the Calisthenics Park. Jog along the Ocean Front Walk alongside locals or rent a bike and cycle along palm-tree lined paths. If extreme sports are more your thing, grab a skateboard and release your inner Tony Hawk at the Venice Skate Park. 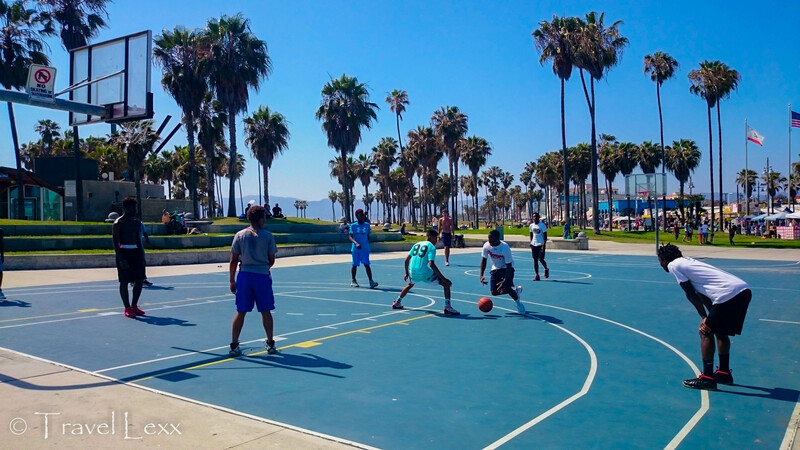 Basketball games on Venice Beach are a staple of sunny afternoons. Watch on as the players show off their impressive skills and you might just be lucky enough to be invited to join the fun yourself. Head over to the sand and you’re likely to see impromptu volleyball and soccer games all along the beach. For something a little different, try paddle tennis – a fun sport similar to tennis played with special racquets on a small court. Fans of retail therapy are also well catered for here. Third Street Promenade in Downtown Santa Monica is a pedestrian-only shopping area featuring many well-known brands, cafes and restaurants. Santa Monica Place and Main Street provide plenty more retailers and eateries. 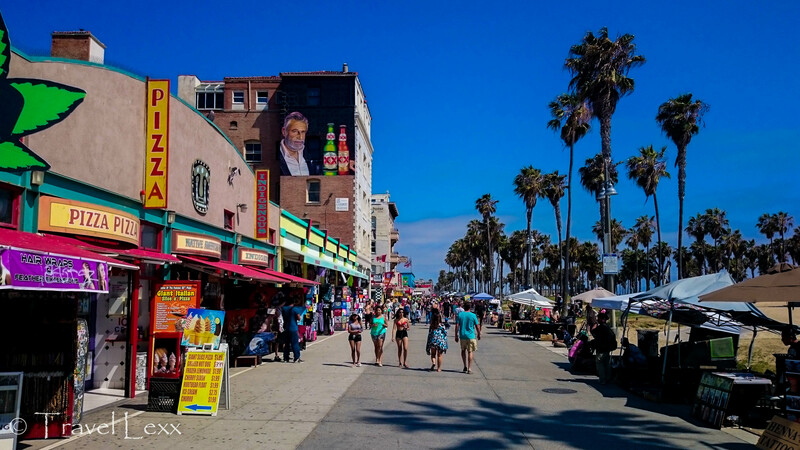 Venice Beach Boardwalk has everything from souvenir shops to tattoo parlours and fast food outlets. Check out Gingerbread Court, said to be built by Charlie Chaplin, for tucked away hipster shops, a bike rental outlet and a small cafe. Spy grand houses, beautiful locals walking their tiny dogs and palm trees – loads of palm trees – on one of the most famous walks in the States. 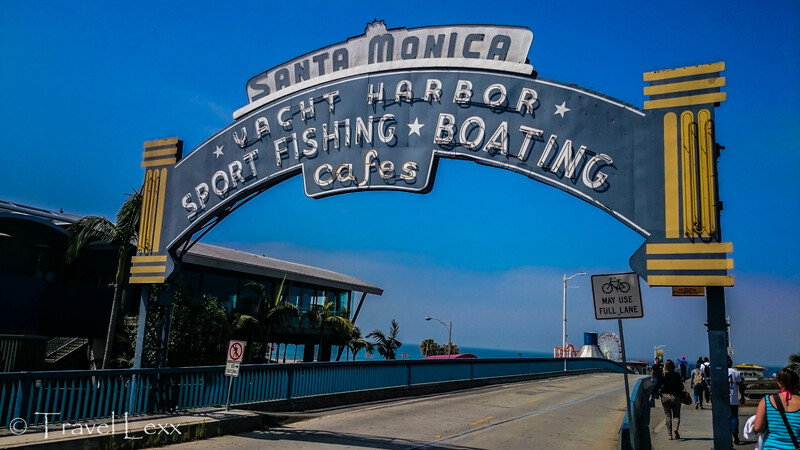 Start by Santa Monica Pier and head towards Venice, with joggers and rollerbladers gliding by. 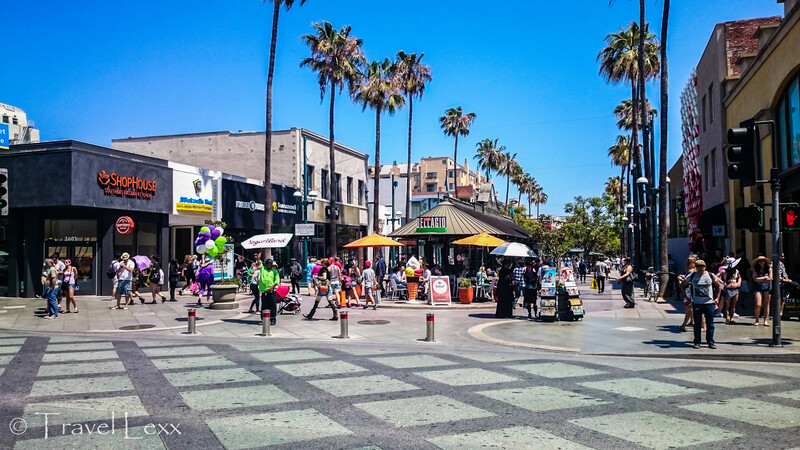 You will soon find yourself on the famous Boardwalk – a fascinating, but touristy, showpiece of Venice Beach. It’s perfect for people watching as street performers, musicians, fortune tellers and bodybuilders all come together in this eclectic corner of California. If walking isn’t relaxing enough, join a Segway tour to see the highlights of the area on two wheels. 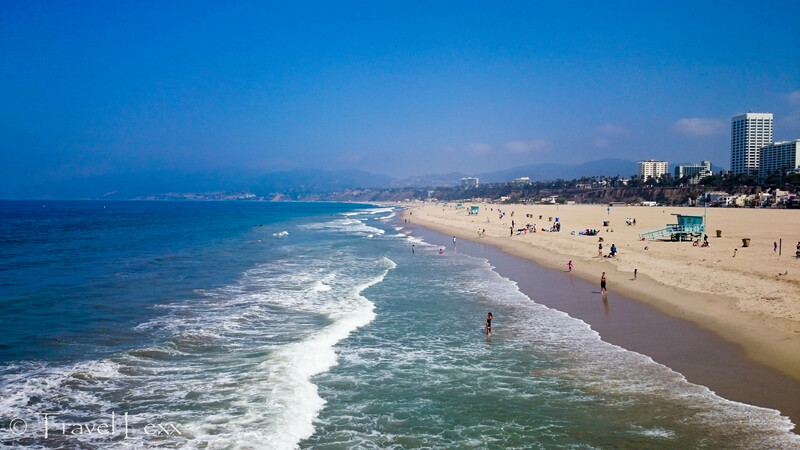 What: Santa Monica is one of the best places to base yourself on a visit to the Los Angeles area with a spectacular beach and numerous retail and food options. Venice Beach is one of the funkiest neighbourhoods in the city. Getting There: Santa Monica’s official website has easy-to-follow directions to the area. This entry was posted in North America, USA and tagged cycling, exercise, ice cream, los angeles, muscle beach, pier, protein, santa monica, santa monica pier, shopping, travel, venice beach, walking, yoghurt. Nice! We’ve been here many times during our trips to LA. But never heard of paddle tennis. We embraced the touristy atmosphere and loved how vain the body builders were! I actually got to work out there – at one point it emptied out (it was super hot) and I was the only person in the gym! People were taking pictures of me – they clearly had low expectations! One of my favorite places to spend a day in the LA area! I didn’t get to spend nearly enough time in LA but I’m glad I got to see this area! This is perfect – the hubs and I are heading this way in December and I really want to get to Santa Monica and Venice Beach! Pinning this for later!! we were advised to avoid LA when we travelled the west coast a couple of years ago – and I am glad I took no notice of that advice! 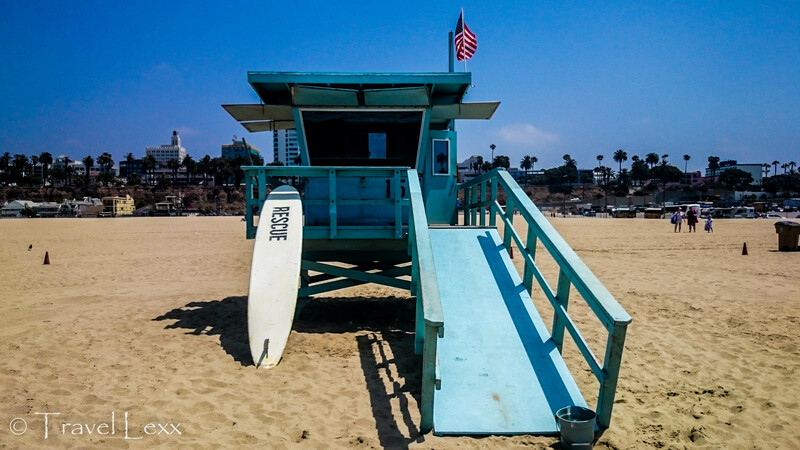 I really enjoyed LA – unfortunately we only had a couple of days so although we visited Santa Monica and Venice Beach it was a whistle stop tour. I will definitely go back for a lot longer next time – I just couldn’t get my head around the size of LA! Yea! Cali is so much fun and you have found some of the best places to visit. I bet you loved Venice Beach (Muscle Beach) and all the fun activities. Of course the shopping and restaurants with bars are loads of fun! Sometimes just people watching or riding your bike is awesome. The bike trail goes on for a long ways and one can ride from Venice Beach all the way to Redondo Beach and back which is a great day activity to do! Great photos and thanks for sharing! This looks a fun place to stay if visiting LA. So much to do and not too far out. The yogurt looks amazing too! Great post! We’ve somehow never been to Santa Monica, despite having living In California for a time! I’ve seen a lot of pictures of the Santa Monica pier lately and really want to go now! Hanging out on the beach and eating delicious ice cream sounds like a perfect time (and Mr. 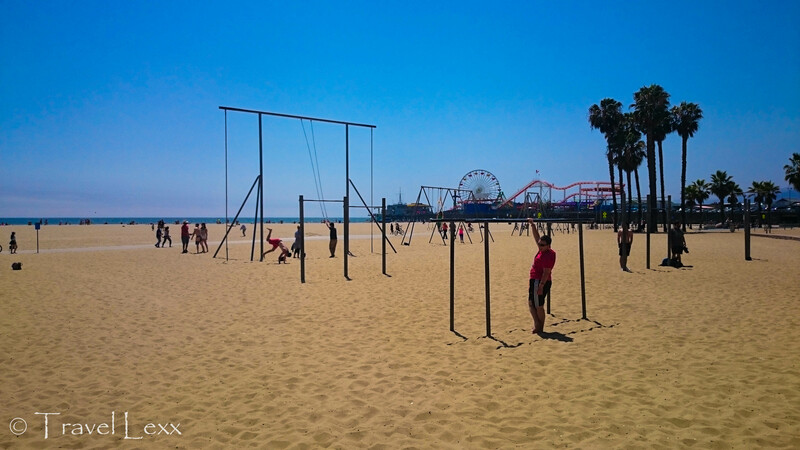 Nerd would love spending an hour or two at Muscle Beach, which I had no idea was a thing until reading your post. Maybe I’d work out more if I could do it on the beach)! 🙂 Thanks for sharing! I have always wanted to go to Santa Monica Pier! I can’t believe people actually work out at that gym. I have seen it in movies but I would never want to do a session there! My son is stationed at San Diego, so we want to do a road trip from San Diego up to LA. Venice Beach looks perfect for our road trip— great people watching! The things mentioned in the article were pretty simple to do as well as easy and cheap things!! Like lying down on the beach or having frozen yogurt which are simple and easy to do…. I would personally love to work out and play basketball in Venice but I think strolling between beaches is the best!! Love Santa Monica and Venice Beach always guarantees a giggle with the muscle marys. You’ve reminded me I need another visit. I didn’t know they sold protein shakes on Venice beach, I guess you need one after working out on muscle beach! I visited a few years ago, your pics look better than mine do! Ooh! The frozen yogurt looks yum! What a lovely list! The promenade looks busy and bustling with shoppers. Seems like a very lively place. Thanks for sharing.